I wanted some lights for the boys’ room so I stopped by La Case de Cousin Paul in Montmartre to pick up a few strands. (They have a few shops in France.) You can choose from about a zillion colors depending on what you need. It costs about 22 Euros for a strand of 20 balls including the lights. They make the boys’ room look so cheery and Moses loved picking them out. Of course these would be adorable for a party. Wow! 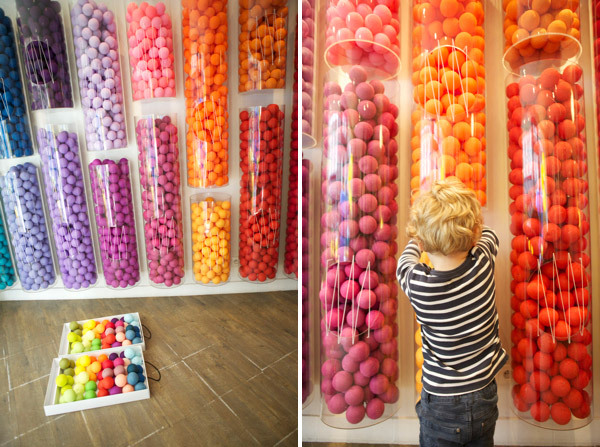 This is a childs dreamland with all of those amazing colors! so fun! remember that shop on fillmore street that sold those lights? but this is just all eye-candy! These are perfect for a kids room, heck for my room! Is this for real!?!? Wow! love!! such a wonderful space. WOW! What a fantastic place! I can`t wait to see the pictures of the finished product hanging in there new room! I was just in that store two weeks ago on my trip to Paris. If I would have had a spare inch in my suitcase, I might have come home with a whole bunch! Are you kidding? How awesome! I had no idea that such shops existed! Love it! ooh.. jealous! i saw these a couple of years ago, and wished i could’ve purchased then! How fabulous! I am smitten! Oh how fun! I would love to have several strings of those for my classroom! Wish we had a store like that here in Texas! 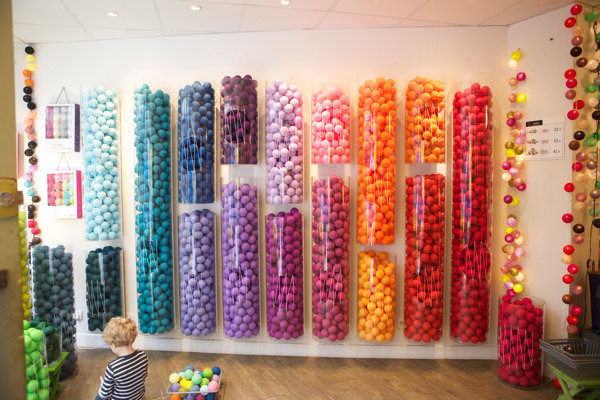 This store looks amazing – so cheery and colorful. I somehow missed this during my trip to Paris a couple of summers ago. I’ll have to check out the website & maybe order some! Thanks for filling us in! Oh please show us what they look like hanging in the boys’ room! They still sell them at Kinokuniya in J-Town, SF. Price varies whether you are willing to pop the balls open with a chopstick or not, but less than $20 either way. OMG I 100000 percent totally love this. I am going to have to swing by J-town in SF Stat!! Not shipping to Australia 😐 Stupid Australia…..
Wow this store looks like it was made just for you! Gorgeous! 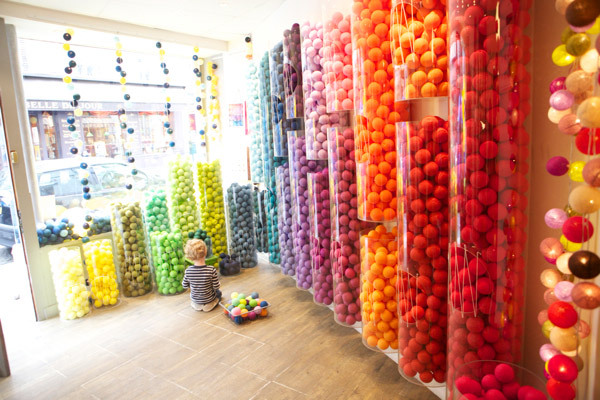 I want a string for my room! wow. so fun and graphic! love it. So in love with those stinking lights! I need those for winter! I have these chez moi!! Seriously, does the States have any type of store like this?! This is fantastic, what fun! How AMAZING is this place? I wish we had one in the states. Oh, the possibilities! 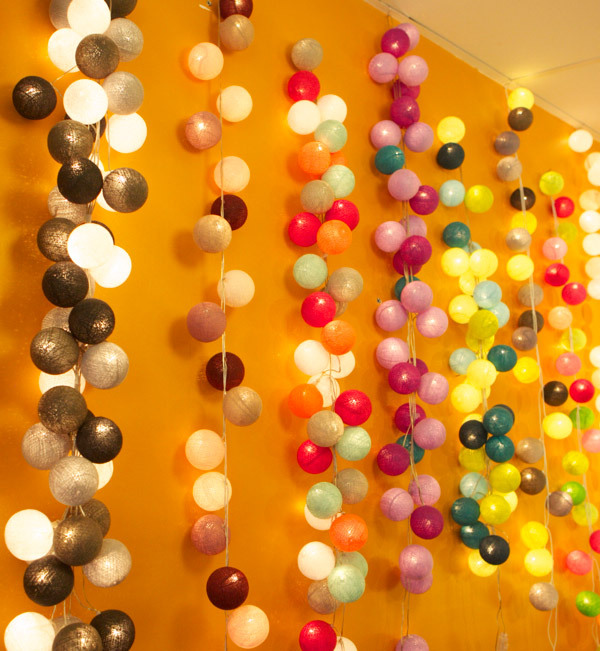 You can make something similar yourself using a strand of Christmas lights and painted ping pong balls. After you’ve painted the ping pong balls and let them dry, poke a little hole in one end and slip it over the bulb of the Christmas light. The texture isn’t quite the same as what you have here, but it is completely customizable. Patterns anyone? Oh, this was my favorite store in Montmartre!! They really know how to make you want to buy their product. So colorful and fun! I LOVE THESE!!! I just bought three strands of fifty on lacasedecousinpaul.com. Unfortunately you can only buy the lamps in store though Cannot wait to plug them in! So cool! That shop is reason alone to visit Paris. This is amazing! Why does everything in Paris have to be so much cooler?! I NEED this store to be transplanted to the East coast. Immediately. Pronto. Stat! Why do the Parisians have such cool stuff? Boohoo for me. a newly opened gift shop in our local village had a small display of these in the window (NE Scotland!) and I wasn’t sure what they were! now I can see, although the impact of all the colours in the Paris shop is a bit more impressive! These photos just gave me a little thrill, whish there was something like this near where I live! Does anyone know what the store is called in San Francisco? Would love to get some of these. Anyone in the states have suggestions I’d appreciate it!!! We are in AZ. Oh how beautiful! Do you know if you can order them to the US/Canada and would the voltage work here? ooooOooo I wish they had stores like this in the states!! wait… DO THEY? Great photos of this shop! I smile whenever I visit shops which sell these lights because when I moved to Paris five years ago, the owner of La Case de Cousin Paul had only just opened and it was a teeny weeny (we’re talking maybe 10m2) shop in Montmartre. I remember chatting to him about his concept (imported from Thailand where he lived for while) and thinking how great it was. Since, I can’t even tell you how many of his guirlandes I’ve bought (they make excellent gifts). I had no idea that the owner opened other shops in France. What a success story… going from less than 10m2 shop just five years ago to what he has today! Charisse Ang Blog » Blog Archive » Catch-up!